Good. the exterior is lightly worn. The title page is soiled. There are a couple of small spots in the text. 78 p. : col ill.; 21 cm. Includes Illustrations. Good. In good condition with slight edge wear. Pages clean and intact. Trade paperback. Glued binding. 78 p. : col ill.; 21 cm. Includes Illustrations. Pamphlet; no spine lettering to this gray-covered paperback; 78p. 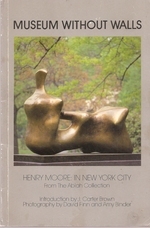 Introduction by J. Carter Brown, Photographs by David Finn and Amy Binder; survey of Henry Moore sculpture works from the Ablah collection, with 64 color photos on every page cataloging the pieces; some small marks on the back of paper wrapper, otherwise in VERY GOOD COND. Very Good+ Book 9600 shelf. Trade paperback, lightly rubbed photo gray covers, unlettered spine. No names, clean text. Printed in Italy. With photos by Amy Binder & David Finn. 78 pgs. Henry Moore; David Finn and Amy Binder (photographs) Very Good+ BOMC. 8vo-over 7¾"-9¾" tall. Circa 1985. Slight rub to corners of covers and spine ends, plus slight surface indents on covers. No prev. owner name. Illus. with color photos of sculptures of Henry Moore. 78 pp. Good. 8vo-over 7¾"-9¾" tall. 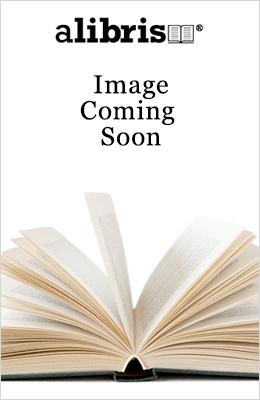 80 pp., colour plates. Small book. Good. Light shelfwear; very clean, no marks.